Have you ever wanted to understand vRealize Operations? 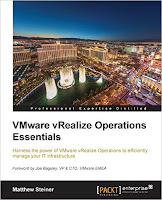 Well, my colleague and friend Matthew Steiner (Blog | Twitter) has written a book entitled VMware vRealize Operations Essentials which is now available on Amazon and Packet Publishing. So, why should you buy this book? If you've ever seen Matt present at a VMUG or had the please of attending a meeting with him you'll very quickly learn that he knows his stuff when it comes to vRealize Operations Manager whether is be policies, super metrics or capacity planning and 3rd party integration. Secondly Matt is very generously donating all his royalties to the Princes Trust in Scotland. He is hoping to raise £5,000 in the next 18 months so this is all for a very good cause. 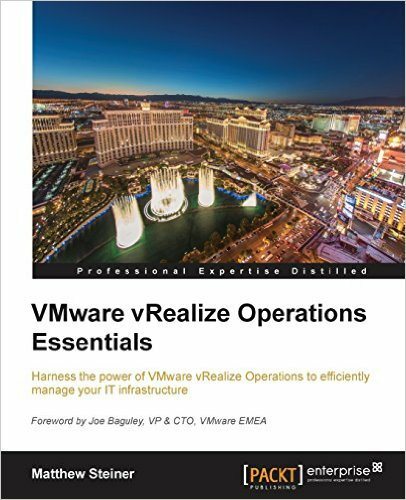 So if you want to improve your knowledge and skills on vRealize Operations and help out a charity then purchase the book.